After first learning of DGI (Dividend Growth Investing), I immediately realized this strategy was perfect for my investing goals and more importantly, my risk tolerance. See, I’m a pretty risk averse guy and I DO NOT LIKE losing money! Downturns in the market makes me sick. But with with Dividend Growth Investing, your goals change. It’s no longer about getting lucky and buying a stock right before it doubles to quickly sell. With Dividend Growth Investing, you aren’t gambling with the hopes that a company stock price goes up. Instead, you’re investing in the company understanding that they are going to reliably pay you every year through dividends. And, since we focus on Dividend Growth Investing, we look to invest in companies that have long histories of paying their stockholders a dividend raise every year as well. For example, I had never heard of Nautilus Inc (NLS) before today, but their stock is up over 30% over the last month (the time of writing this). That would be a stock that I would have been on the lookout to trade before I was introduced to Dividend Growth Investing. However, instead of finding the Nautilus stocks of the world, I would typically find the Hydrogenics Corp (HYGS) of the market which is down a little over 11% YTD and pays no dividend. These types of companies no longer interest me. I’m much more interested in the $26.56 dividend AT&T (T) and $13.30 dividend General Mills (GIS) paid me this week. My only goal is to find dividend aristocrats with a long history of uninterrupted dividend payments and buying them at fairly valued (or even better, undervalued) prices (relative to their dividend yield range). Once again, the key is buying these dividend aristocrats at undervalued prices. Companies have business cycles. And, like all cycles, there are peaks and troughs. More importantly, they have high/low dividend yields ranges. Chevron (CVX) and Exxonmobil (XOM) are both huge companies with long dividend histories and huge (literally) ocean sized moats. So why isn’t everybody doing this? Well, a lot of people are. At the moment, it’s not an easy task to find high quality companies with prices that are in line with the high end of their yield range (or undervalued). This is because of the artificially low interest rate environment we’ve been in for the last six years. The majority of the high quality stocks have been bid up to all time highs because institutional investors, foreigners, and folks like us who have have been throwing money anywhere they can find a decent yield. But, good values do pop up, and the values will certainly avail themselves once interest rates begin to rise. 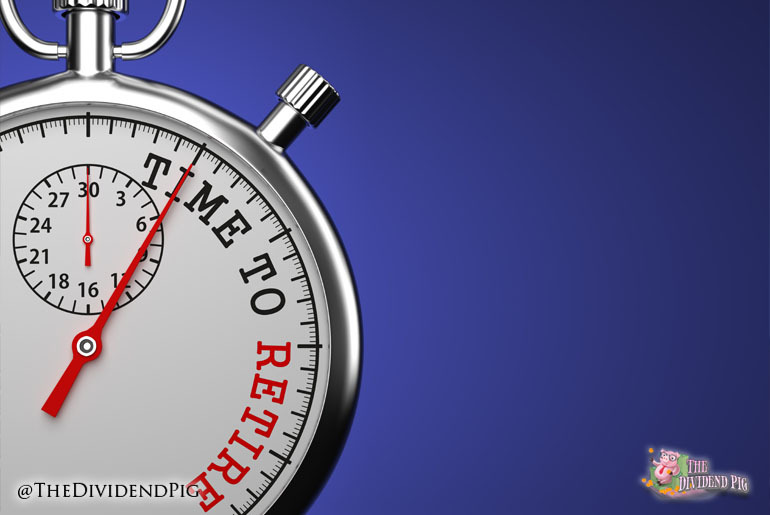 I aim to invest in companies who will pay my way through retirement with dividends. If I’m able to pay all of my expenses with my dividends payments and never have to sell shares to raise capital, then I’m set for life. But, the real reason of why I’m using dividend investing as the cornerstone of my early retirement plan is to diminish portfolio anxiety. I’m no longer worried about my portfolio balance. It’s a treat to look at my portfolio spreadsheet to see what I’m going to make this month in my reliable and predictable dividend holdings. 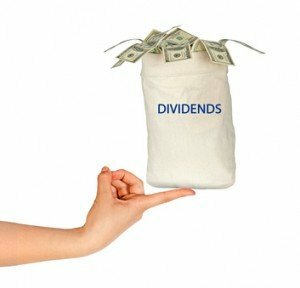 Are you investing in dividends? What draws you to dividend investing? We’d love to hear from you in the comment section below. Hi there. I’m in it for very similar reasons. I have two separate dividend portfolios. One for early retirement (hopefully) and one for my children. I used to be an options trader but it took up too much of my time and was extremely stressful. With dividend investing I still have to do quite a bit of initial research, but after that I get to sit back and collect ever increasing pay checks. Hi DE! The potential gains are quite addictive in the options world! But I’m with you, way too much stress. I really enjoy the research side of dividend investing, the hard part is the waiting to buy! I have LOTS of wants… just waiting on the right prices is killer. I suspect we’ll see some good values once interest rates begin to rise. I’ve not yet begun investing for my little piglet. I’ve always just assumed everything would go that way in the end anyway. But investing for the little one is something I should think about!